There’s no getting away from it, the motoring world has changed forever. Massive, fuel-gulping 4×4 hulks are fast becoming a thing of the past. With VW and even Porsche now looking at hybrid technologies to make their monsters more fuel efficient, the presence of a growing market of economical, smaller SUV style “soft roaders” has done much to undercut the big boys. With savvy consumers becoming wise to this, Ford first capitalised with the Kuga back in 2008 and have just refreshed the range after shifting some 45,000 units with company car and fleet buyers taking notice for the first time. The All-New Kuga was released in 2012 and, as the name suggests, is pretty much new from the ground up. Gone are the curves of the older, softer model with the New Kuga taking on a bigger, bolder look that mirrors what we want as European buyers and what the Americans want Stateside. This is one of the first truly global Ford models with the likes of the Mondeo and Mustang following suit in 2014-15. However, the Kuga has distinctly modern European specific suspension meaning that it copes extremely well with the broken surfaces that drivers in the UK will be accustomed to. Also, with a selection of frugal diesel engines, Ford’s fantastic Ecoboost petrol engine in 1.6 litre form and a choice of two or four wheel drive with manual or automatic Powershift transmissions, there is a Kuga to suit all tastes and budgets. 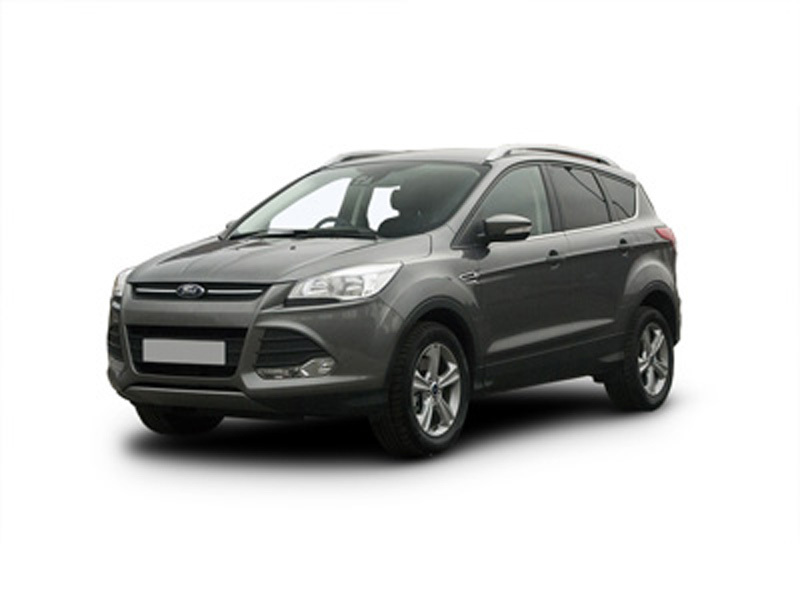 With this, the Ford Kuga offers a strong case for fleet contact hire usage and with space and comfort designed with both business leasing and family users in mind, it could be seen as the ultimate dual purpose vehicle. The looks will polarise opinion as they such a radical departure from the earlier car and, as ever, colour choice is key to get the best out of the cars aesthetic image but, ultimately, there’s a lot less car on the market elsewhere for a lot more money. Value is the buzzword for the All New Kuga. View our Ford Kuga 2.0 TDCi contract lease hire special offer now or contact us for a quote on any Kuga model including the range of 1.6 Ecoboost 5 door 2WD and 4WD manual or automatic Kugas.